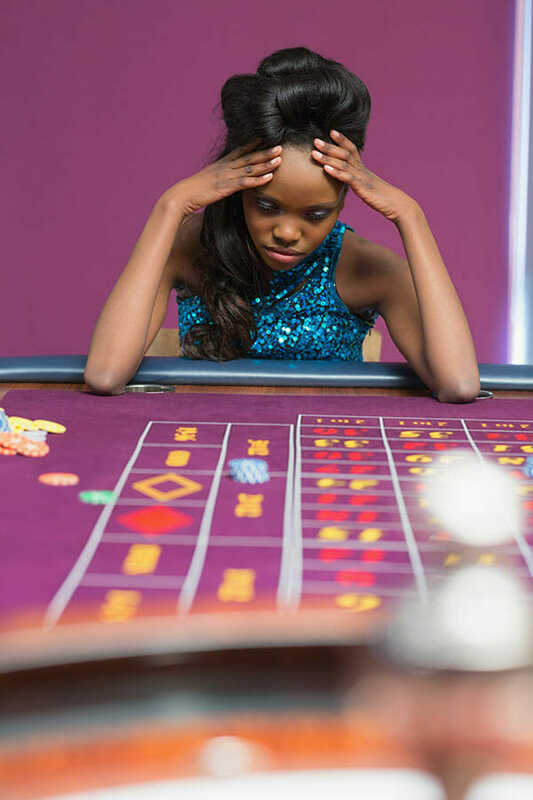 Gambling addiction, or compulsive gambling, is what is known as an ‘impulse-control’ disorder, which means that the person cannot control their ‘urge’ to gamble, even though they know the consequences of gambling are detrimental to themselves and their loved ones. If you have a problem with gambling, you are not alone. It is estimated that 7% of the UK population gamble at risky levels and it is recognised as one of the fastest growing addictions in the world today. It is not something to be ashamed about that you refuse to seek help. In today’s fast growing technology of online gambling and sports betting apps, it is becoming so much harder to stop gambling as it is so easy to engage in it. There are also daily enticing TV and internet advertisements on betting. Gambling becomes a problem when it starts to have an impact on a person’s life, their relationships and their finances. If you find yourself spending more time and money on gambling; if you are pre-occupied with thoughts of gambling and you often try to ‘chase your losses’, then you may have a gambling addiction. Do you have a problem with Gambling Addiction? Gambling addiction can kill, as many addicts find themselves so desperate that they see no other way out their problem than suicide. Q1: Do you find yourself spending more time and money on gambling? Q2: Is gambling making you or your home life unhappy? Q3: Have you found yourself gambling through more than one method? i.e. Slot machines, sports betting apps, online casinos? Q4: Have you ever felt guilty or remorseful after gambling? Q5: Do you find yourself gambling when you are bored? Q6: Have you lied to other people about how much you are gambling? Q7: After losing do you feel you must return as soon as possible and win back your losses? Q8: After a win did you have a strong urge to return and win more, instead of taking the winnings or putting the money back into your account? Q9: Do you often gamble until all your money or online credit has gone? Q10: Do you ever borrow to finance your gambling? Q11: Have you ever sold anything or stolen money to finance gambling? Q12: Have you tried to suspend online betting accounts or bar yourself from the bookies? Q13: Does gambling make you careless of the financial welfare of your family? Q14: Do you gamble longer or spend more money than you had planned? Q15: Do you ever gamble to escape worry or trouble? Q16: Do you find that you are preoccupied with gambling (constantly thinking about past gambling experiences or planning the next gambling opportunity)? Q17: Does gambling cause you to have difficulty in sleeping? Q18: Do arguments, disappointments or frustrations create an urge within you to gamble? Q19: Do you have an urge to gamble when you are feeling good? Q20: Have you ever considered suicide because of your gambling?. Gambling addiction is one of a class of addiction known as a ‘process’ or ‘behavioural’ addiction where the addiction is to a behaviour rather than a substance. Addicts sometimes have difficulty accepting these behaviours as addictions. They think that they would be able to simply stop the compulsive behaviour but this never happens. Process addictions can be as debilitating and difficult to overcome as addictions to substances such as drugs and alcohol. Current evidence supports the growing understanding that process addictions can activate the same neurotransmitters and impact upon the same reward systems in the brain as found in drugs and alcohol addiction. The best form of treatment for a gambling addiction is intensive psychological treatment combined with post-treatment mutual aid (e.g Gambling Annonymous) and social support. Rehab Healthcare can help you to find a clinic that specialises in gambling addiction. Though all treatment for addiction is based on treating the underlying problem, these clinics carry out gambling specific interventions. If you would like some advice and guidance about your gambling addiction, call Rehab HC today!.